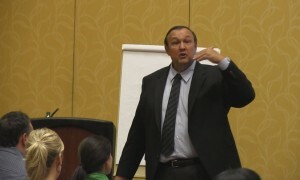 Almost all of the Seminars and Workshops we host at Leaders Edge 360 are customized for our clients. We’re just not big fans of the one size fits all training. Our customized seminars and workshops will range from 75-minutes to two days in length. They can be conducted at our client’s office, our offices, or we can go to any offsite location. Here are just a few topics with brief descriptions of seminars / workshops we’ve recently completed or that we’ve got coming up. We want your organization to be full of exceptional leaders and engaged employees. Tell us where your gaps are and we’ll work with you to fix them.